1. Just because there is no fee for tuition doesn’t mean you won’t have to pay anything. Most of these institutions don’t also offer free room and board, so you’ll usually still have to pay for your dorm and meal plan. Additionally, you’ll have to pay for school supplies, textbooks, and other incidentals, so be sure to budget for these other costs. 2. Most of these schools require students to work in addition to their studies. A lot of schools participate in the federal work-study program, but this is completely different from that. In most cases, students will work at least 15 hours per week, and, a lot of times, they’re doing work that isn’t related to their course of study – they’re essentially in jobs that support school functions. This can be difficult with a full course load, or if you’re trying to get internships on top of your classes. 3. Students must meet certain prerequisites in addition to their studies at some of these institutions, like having a household income below a set threshold or living in a certain region. Be cautious of this when researching tuition-free colleges. 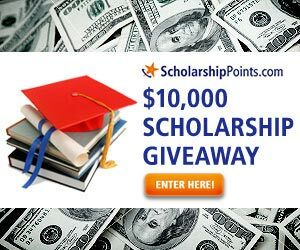 This religious university calls itself, “the best education money can’t buy,” because they have a tuition-free promise scholarship (fully funded by donors) that allows many of their students to graduate debt-free. In addition to free tuition, students also receive a laptop computer to use, free-of-charge, but you must demonstrate financial need to be admitted. This newly-built school in New York doesn’t require students to work for their tuition – they actually discourage it! Each student gets a huge scholarship that covers tuition, and a free laptop, and they get to keep it as long as they can maintain a 3.5 GPA. While there are other fees that students may have to pay, this option is great for students who want to focus on their academics without the pressure of a part-time job. This highly-selective, Christian institution is located in Kentucky, and was founded by Boston-native and education advocate, Alice Lloyd. To attend, students must live in the Central Appalachian region and meet college’s standards. To cover the cost of tuition, those attending Alice Lloyd College work between 10 and 20 hours per week, a small price to pay when compared to other liberal arts colleges. Another Christian school, this institution allows students to pay their tuition through labor, working 15 hours each week and two 40-hour weeks out of the year. It is located in Missouri, and you must demonstrate financial need to be admitted. If you fit into any of these categories, and you aren’t afraid to work part-time while taking classes, a tuition-free school can be a great option for you – but make sure you still work on getting scholarships to cover any other expenses!